Update from Daniel s. on the 11th Oct 2018. Jeju Airport (CJU) smoking room after security closed, airport is being refurbished, however I doubt they will reopen the smoking area. 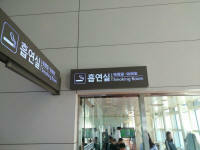 For connecting flights you must leave the terminal and enter South Korea and smoke outside terminal then go through Security again for your flight. 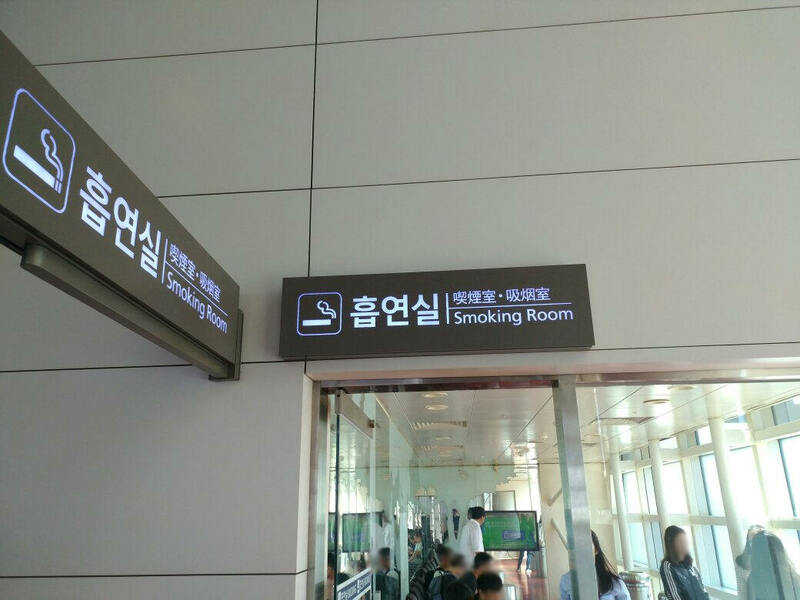 I just wanted to highlight that Jeju International Airport does have a smoking room, right in front of departure gates in the international departure area. Herewith I attach a photo. Feedback and photo from Gourd Vine Inc. on the 8th October 2017.